We campaign on a range of issues from improving early diagnosis of bowel cancer, to ending the capacity crisis in NHS staff, and making sure all bowel cancer patients are tested for the genetic condition Lynch syndrome. The people who support our campaigns by signing petitions, attending events, contacting their Members of Parliament and in many other ways, are the heart and soul of what we do. 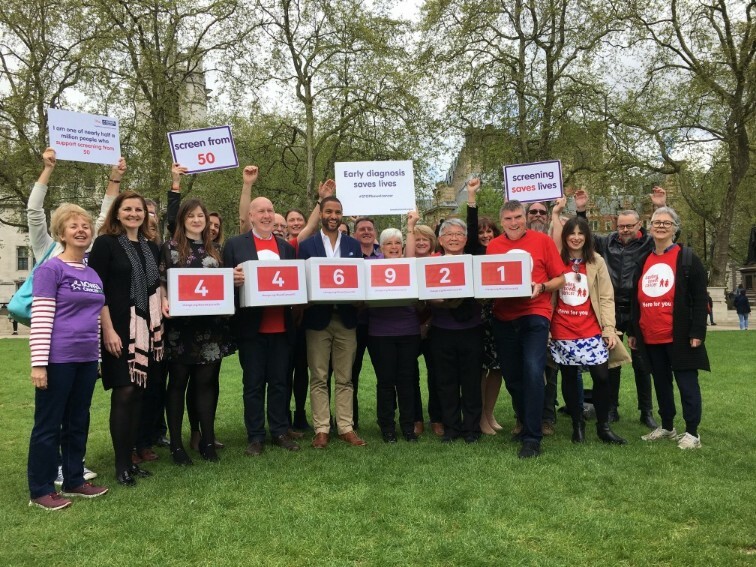 It’s thanks to the support of these amazing campaigners that we’re able to make vital changes to health policy to improve the quality of life, treatment and care for people affected by bowel cancer. Our most recent success was the commitment to lower the bowel cancer screening age to 50, which once introduced will help diagnose more people earlier and ultimately save lives. We know we can’t achieve these campaign successes alone. That’s why this year we’ve been working hard to find out more about the people who campaign for us, what they think of our campaigns and why we’re lucky enough to have their support. In February, nearly five hundred campaigners responded to our survey asking these very questions. The answers were used to help ensure we’re campaigning on the issues people affected by cancer care about most so we can give the support needed to take action to make real change happen. So what do our campaigners think? 80% think we campaign on issues they care about and 90% would recommend being a campaigner to a friend. 96% find our campaign actions either very easy or quite easy to take – these include signing petitions, emailing a politician or sharing our campaigns on social media. Yet nearly 30% said they would like to do more, like attend local events, meet with their political representative or speak to the media. This is positive, but clearly there is more we can do to help support our campaigners to take action. So we listened and took steps to help people who want to do more. As part of our Time to Test campaign, we produced a Local Campaigner Toolkit to give our campaigners a variety of ways to take action to help their local hospitals test for a genetic condition - Lynch syndrome. Barbara Moss, campaigner shares her experience using our toolkit in this blog. We created our Time to Test Campaigner Briefing to support our campaigners to talk through the campaign with politicians and local health bodies using three key messages. 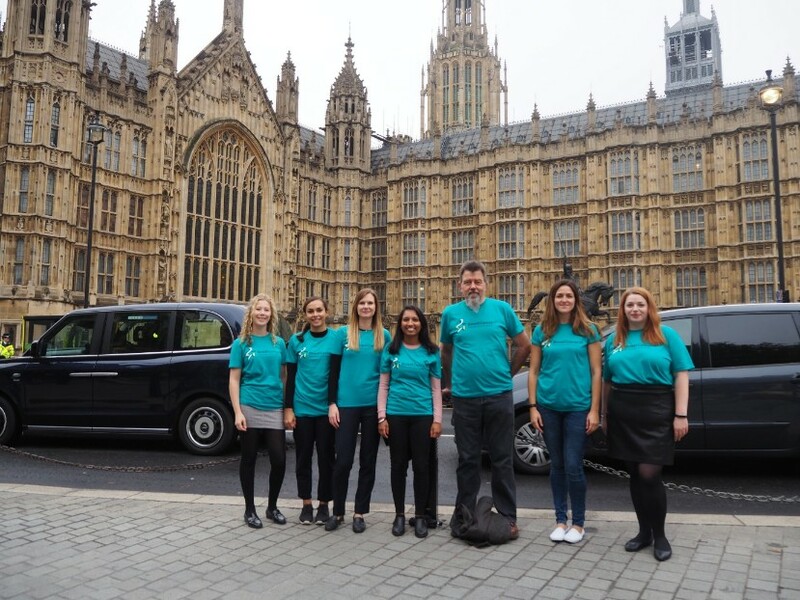 Together with a group of our amazing campaigners we handed in Lauren’s Backler’s petition to lower the bowel cancer screening age to 50. Thanks to those who attended we got the issue on the agenda of the Health Secretary, who has since secured a commitment to lower the screening age. But it doesn’t end there. On Saturday 10th November we held our first ever Supporter Conference. We met with inspirational supporters and asked them to help shape the future of our work. Through focus groups we discussed how we can be better for people affected by cancer. We’re determined that along with our 10,000 campaigners we can campaign bigger and better next year. Thanks to all of those who’ve helped us along the way. Become a campaignerand join thousands of people helping us save lives and improve the quality of life of everyone affected by bowel cancer. Read our blogto find out more about what campaigning is and how you can get involved.